The Mudbugs music can best be described as true roots music from the South. The Mudbugs create a delicious Americana music gumbo. You’ll hear a bit of Zydeco, Country, Blues, Cajun, and Folk. 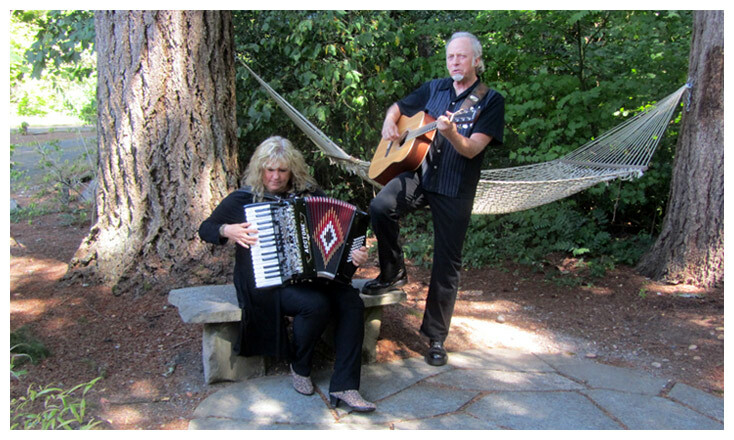 The Mudbugs play classic tunes by Clifton Chenier, Hank Williams, Snooks Eaglin, and Doc Watson, just to name a few, as well as many originals penned by the duo.